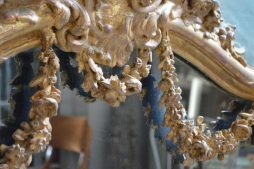 Antiques | Page 123 | Interior Boutiques – Antiques for sale and mid century modern furniture, french furniture, antique lighting, retro furniture and danish furniture. 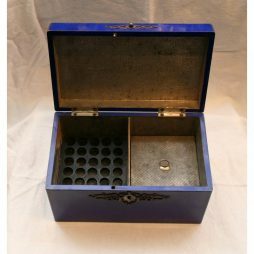 Decorative 19th Century Antique blue box. 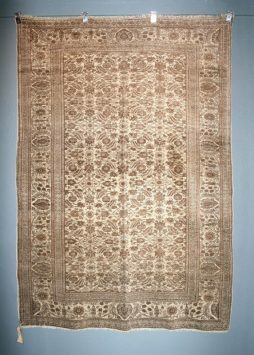 Early 1900’s East Europen Basserabian Hand Knotted flat weave rug. 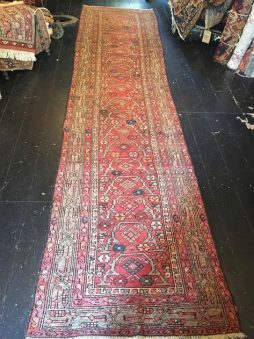 Rare Antique rug Early 1900s N W Persian (Malayer) Long Rug. 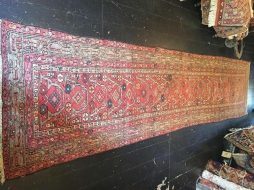 Antique Early 1900’s Hand Knotted Keiseri Rug, Turkey, All over Pattern. 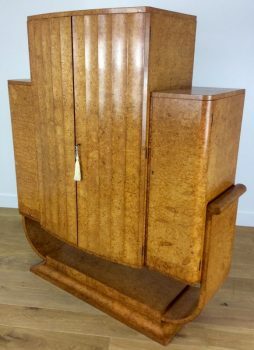 Size 184.5 cm Total Hight x 60 cm Deep x 83 cm Wide and Desk top 74.5 High. 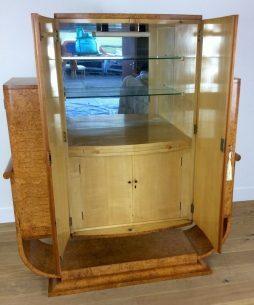 The top section is detachable so its easy to transport. 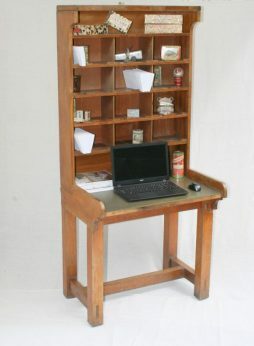 A very charming Postmasters sorting desk which dates back to the 1940s. 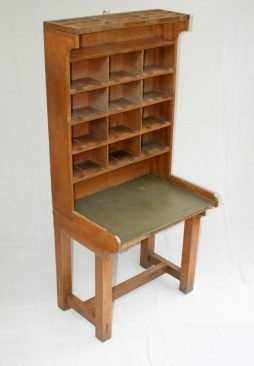 This is a very practical piece of furniture which is sure to add vintage charm to any home and will enhance any room with its industrial charm and ideal for a your home office. Written on the back of the cabinet it says Postmaster Fermoy Co Cork. 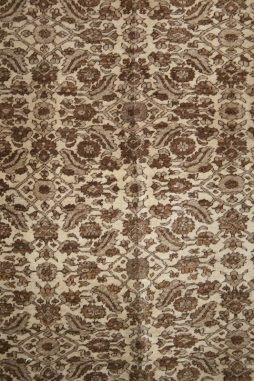 Fermoy is a town on the River Blackwater in east County Cork, Ireland and this charming piece was probably used in the village post office. 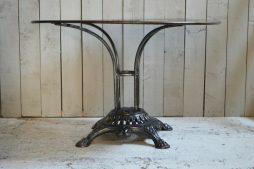 19th Century French Conservatory table. Cast iron base with foundry mark and outlet name. 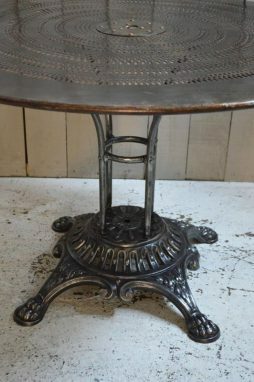 The cast iron base ant the top have been polished and varnished could conceivably go outside if desired. 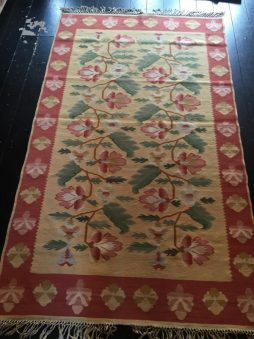 Condition Report : Very good order and original condition. 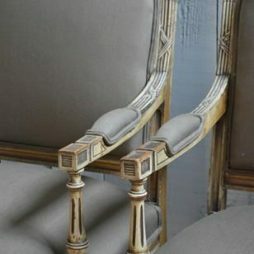 Pair if Louis Cairns chairs original paint work on the chairs. 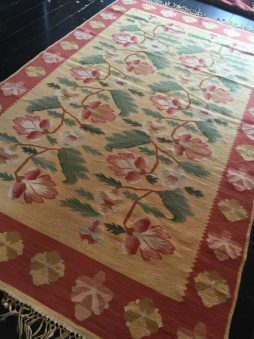 Reupholstered in Ulster weavers association linen. 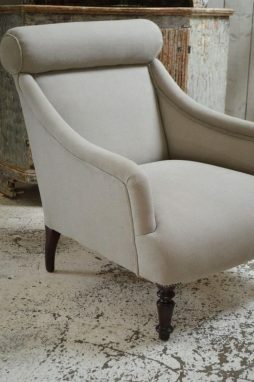 19th Century French armchair reupholstered in Swedish linen, double piped round the arms. 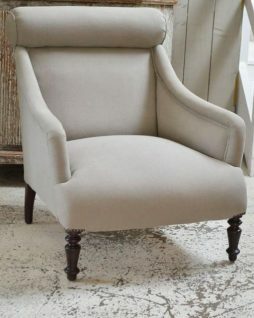 The roll top head rest on this already wide and deep chair makes it even more comfortable. 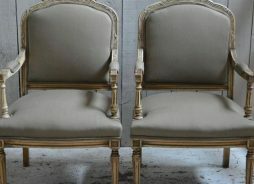 Colour : off white original paint and gilded. 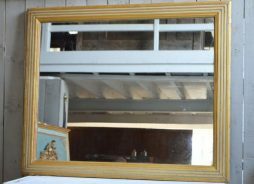 An early French bistro mirror. 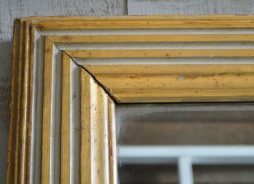 In very good order with carved ribbed wood that still has original paint and gilding. 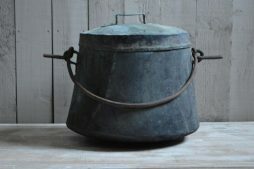 Large French Copper pot with handle and original fitted lid. Great patina and character. 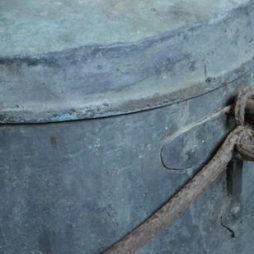 Condition Report : Some wear and tear consistent with age. 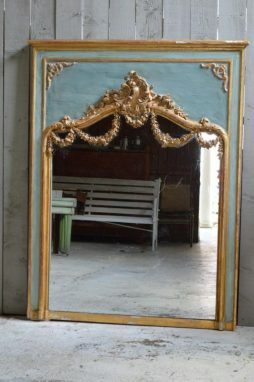 Large and very decorative gilded and painted overmantle mirror with swag detialing.